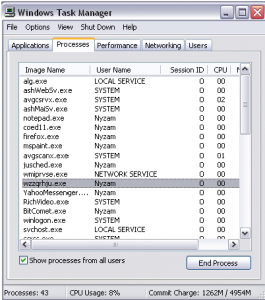 In this article you will know about How to Detect Keylogger. The digital world although has made it easier for us to stay connected through emails and social networking sites, it has also increased the risk of data theft. With so many brains working on making it easier for us to make bank transactions and other crucial things simply by just sitting at home, there are some malicious minds working behind stealing all the crucial information stored in our computer. As parents, we plan and install certain apps to oversee the activities of our children on the internet for their benefit. But when the same process in a more prudent form is taken up by someone to steal our identity it becomes a threat. There are various types of tricks used by the hackers for stealing our identity. Keylogger is one malicious app or tool that is being used by many hacks for spying on what we type and to whom and how we connect online. These days, keylogger has become one of most potent threat that can record what you type in and share it with the information to the hackers. Knowing how to detect keylogger & remove it from the computer can help one protect one’s identity and personal life. Method 1: Open the task manager by using the keys combination Ctrl+Alt+Delete. Go to the processes option and look for a duplicate copy of a process named Winlogon. Having one process with this name is fine, but if there are two then it means that your device has been infected with the keylogger. Go to Start Menu, select All Program option and look through all installed program. If you find any program that you didn’t install, uninstall it. Having uninstalled the unwanted program you will need to restart your device. Method 1: If you have detected the keylogger at the task manager, delete the duplicate copy of Winlogon. Method 2: If you have detected an unidentified program installed on your system, delete that program. 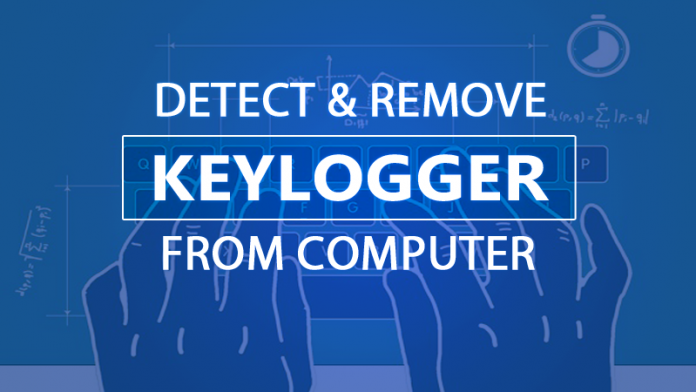 These two are the most simple ways of detecting and removing keylogger manually from your system. The manual methods lay the foundation for protecting the computer from the malicious activity and thus help prevent theft of any data. Besides manual, software is also available on the market that can help detect the keyloggers and remove them from the computer. You can learn how to detect keylogger & remove it from computer by installing software capable of detecting and removing the malicious tool. The software scans the computer of any malicious file that is capable of stealing information stored in it and sending it to hackers. Having detected the malicious files, the software quarantines them and treats them either by deleting or repairing them after seeking your command. 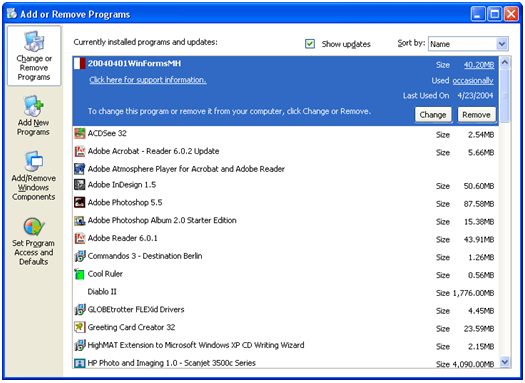 The software not only scans the computer, in fact, it also prevents or safeguards the computer by disabling automatic installation of any program that can of risk. Keylogger has become a potent threat as increased number of people is using digital gadgets for various tasks. Whether it be an online transaction or private chat rooms, keyloggers can hack the details and record whatever you type using the keypad or keyboard of our device. You know how to detect keylogger & remove it from computer, but you also need to the two types of keyloggers and how they affect your computer. Keylogger is of two types – hardware keylogger and software keylogger. Hardware Keylogger: Hardware keylogger comes in the form of USB devices that can be attached to the computer system. This particular type of keylogger embeds at the back of the Central processing unit (CPU) and films the keyboard activity. Software Keylogger: The software keylogger is inbuilt in software and program installed or to be installed on your computer. When we install any software in the computer system certain files are automatically created. These files can be malice and can record and steal information from the computer. No matter what type of keylogger your computer is affected with each keylogger can cause irreversible loss. Therefore, it is of utmost importance to detect the keylogger on time to prevent theft of any crucial data. The computer can be protected by keeping anti-virus software updated. Using the virus detector often can also help detect and prevent any malic program. There is also one trick to prevent a loss of any information types through your keyboard, you can store the data such as username and password in a notepad and copy and paste the details whenever necessary. However, in this case, you would have to be extra conscious of the data stored in notepad as hackers can steal information to. The risk of hacking is everywhere, but it shouldn’t prevent us from using the digital age gadgets. Use the smart devices by being vigilant. Don’t let anything like keylogger hinder you from moving ahead in your path of digitalization. Make sure that your computer system is updated and all its programs are functioning properly. Running anti-virus software regularly can also help guard your computer when your online as well as offline. Next articleHow to Delete POF (Plenty of Fish) Account? You could also try using an Anti-Malware such as MalwareFox. Simplifies the process.